A ‘new’ deal has been offered that appears to make some concessions, but which demands more work for the same money. On Friday 24 November the Labour party brought ‘new’ proposals to the city cabinet for resolution of the Birmingham bin strike. The report was kept secret so that not even the councillors’ favourite journalists were allowed sight of it until the morning of its release, when Kathryn Stanczyszyn of the BBC began to tweet photographs of text that appeared to propose many of the basic features of the original deal that had been offered by council leader John Clancy during talks at Acas in August, and which the cabinet subsequently reneged upon, resulting in his resignation. To ensure that this ‘new deal’ got the backing of the workforce, Unite called a last-minute mass meeting on Saturday 25 November. Hundreds of binmen with childcare and family responsibilities were unable to make this last-minute meeting, which was held in the council house at 11.00am. Unite assistant general secretary Howard Beckett told the assembled binmen that agreeing to the deal was the only option and that, while the celebrated court hearing on Monday 27th would undoubtedly be victorious for the binmen, the council would only issue everyone with redundancy notices afterwards! In the face of such blackmail, the assembled gathering meekly voted to accept the offer, with the honourable exception of the communist and militant workers, who remain in a minority. The ‘new deal’ is a result of two processes. The first is the desperate longing by Unite officials to find some form of compromise that enables them to end the dispute whilst claiming victory. The second is the utter failure of the council to crush a group of determined workers whose prolonged industrial action cost an insane £6.6m in a matter of a few months and exacerbated internal fratricide amongst the warring groupings of the local Labour party. Unite, like much of the trade union movement, has no stomach for serious struggle. When workers push its leadership into confrontation, they send out full-time officials whose first recourse is to attempt to cobble together a compromise agreement with Acas. Failing that, they let the lawyers battle it out in the courtrooms; easy money for overpaid solicitors (and overpaid full timers!). The idea that class struggle, industrial action and mobilising workers can lead to a total and complete victory is now unofficially accepted as impossible. The Birmingham bin dispute has brought this out very clearly. The council, which became embroiled in a deep political crisis, was unable to sustain the cost of trying to break the strike. This led to the very real possibility that the strike would break the council, and, more importantly for social democracy, it threatened to ruin the local Labour party. 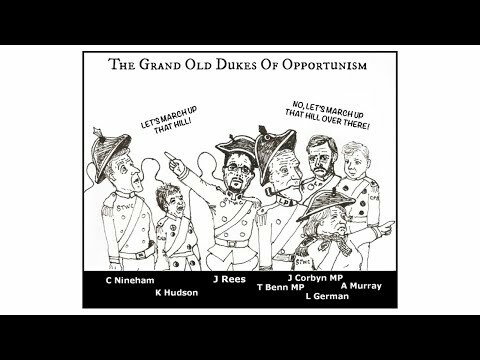 But in the nick of time, in stepped Unite and its paid (dis)organisers (who also happen to be Labour members), and these full timers, with no mandate from the workforce, began to barter away their members’ terms and conditions in an attempt to get a deal. In the first week of August, upon Howard Beckett’s arrival in Birmingham, he asserted on local radio that the binmen were willing to negotiate, and it soon became apparent he was trying to give up the compressed working week in order to retain the disputed Grade 3 role that was threatened with the axe. On the picket line at Montague Street at 7.00am on Friday 4 August, Beckett promised workers that nothing would be done without their agreement, and that suggestions he was offering away the compressed working week were not as they were being reported in the local media. The Birmingham Worker, the CPGB-ML’s local organ in the city, published the following message, which was distributed through the bin yards after the deal was accepted by the workforce. 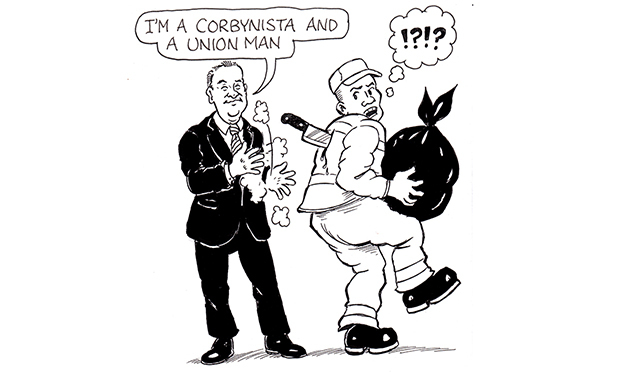 It neatly summarises for the binmen the political ramifications of the industrial action they undertook this summer. “When the binmen went up against the council this year, it was in defence of terms and conditions. The workers had to fight a Labour council every bit as bad as any Tory council. Unions try to prevent strikes against Labour councils; they prefer to make deals with Labour councils because unions are full of Labour party members. They all share comfy jobs and don’t want to derail the gravy train. “Unite were desperate for a deal right from the moment Howard Beckett arrived. Unite had no faith in victory unless it was declared in court, Unite have given away the best part of 50 rest days a year, not only rest days for Grade 3s but also Grade 4s and 2s. They said no other deal was possible. But is that true? 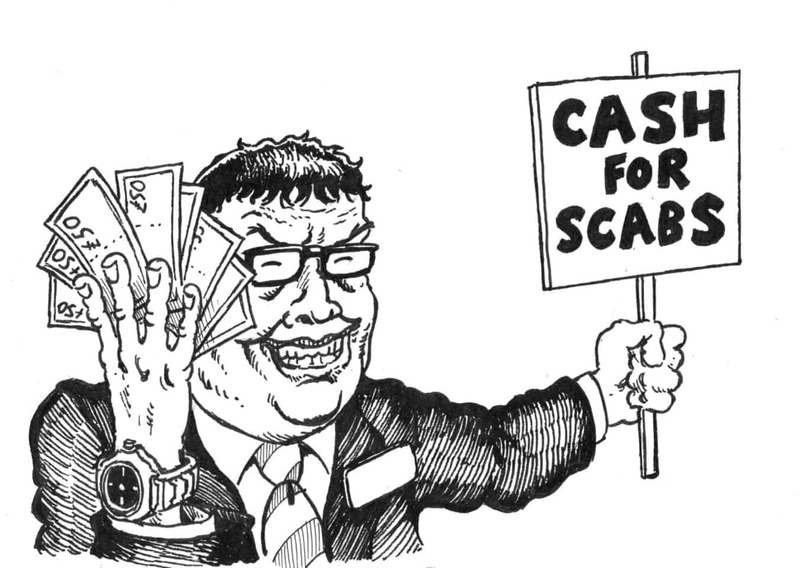 “Strike action cost the council over £6m – it nearly sank them! Unite threw their friends in the Labour council a lifeline by calling off the strike action twice and giving away the rest days of all grades. “Without knowing it, all summer the binmen were exposing the anti-working class nature of the Labour party. Without knowing it, all summer the binmen were shaming and exposing all the Labour party members, trade unionists and sham socialists who kept saying Corbyn would give his support. 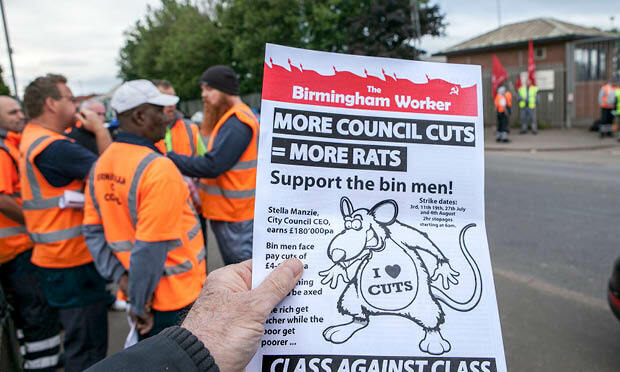 “Without knowing it, all summer the bin strike proved that there were not ‘two Labour parties’ (Labour was united in its hostility to the strike); it proved that the cuts were not being implemented by a ‘few bad apples’. 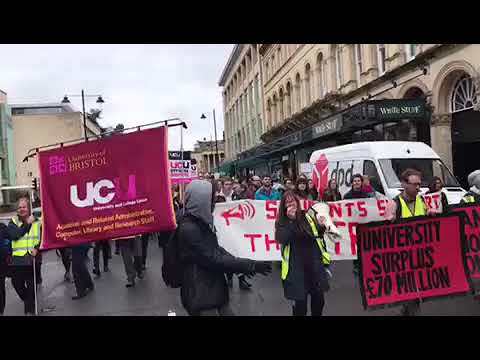 The strike proved everyone was out to stab the binmen in the back, everyone except the Communist Party of Great Britain (Marxist-Leninist), which isn’t scared to expose Labour or any enemy of the workers. “- Unite the Union is a major backer of the Labour party. It gave more than £2m of its members’ money to Labour last May/June alone. Many of Unite’s leading members are members of the Labour party. Howard Beckett spoke at the Labour party conference in 2017. These facts are known to all binmen. “- Many workers are now saying that they have been betrayed by union reps and stewards over the deal struck. But local reps don’t really make the decisions; they do what they are told by the Unite the Union leadership, they are not to blame. They have been influenced by Labour party trade union officials. “- The Unite leadership is made up of Labour party members. The Labour party serves capitalism, it doesn’t serve the workers. It is no surprise that they bargained away up to 50-odd rest days a year, not only for the Grade 3s, but for all grades. “They bargained these away because the Labour council was desperate for a deal, as were the Labour members running the dispute from Unite. 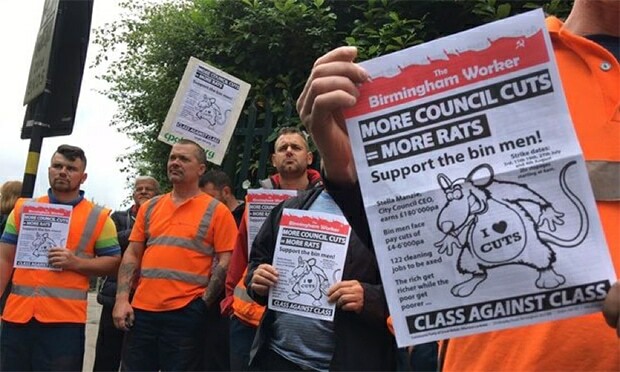 Birmingham Worker highlighted this all along; we also pointed out the likely betrayal by Clancy and the anti-working class attitudes of [Labour councillor responsible for bins] Lisa Trickett and the Moseley and Kings Heath Labour party. “- Bin men did the right thing when they supported the Communist Party and picketed Lisa Trickett’s surgery. We exposed Trickett. 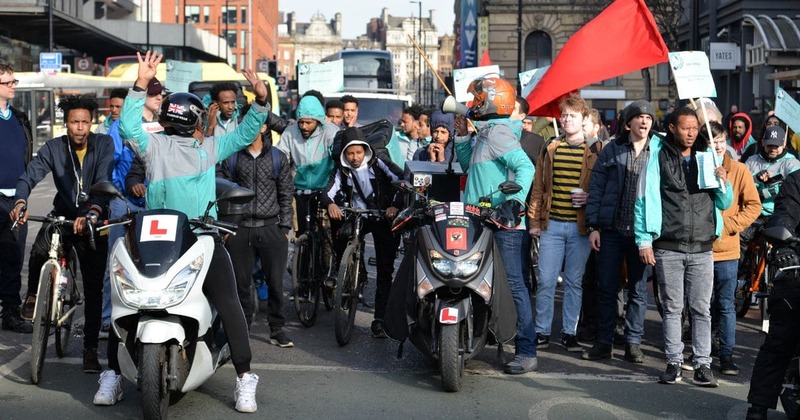 Binmen cannot be neutral; they have to take sides and they must fight to expose the Labour party as traitors and expose those who work for the Labour party in their own union. “It was a mistake to listen to Labour party members of Unite who told binmen to stop putting pressure on Trickett by supporting our picket. It was a mistake because all these Labour party members were working together to get a good deal for themselves and not necessarily for all the bin men.